My favourite types of rice • Quick & Tasty - Get Cooking! I love rice, and most of my recipes go very well with rice. 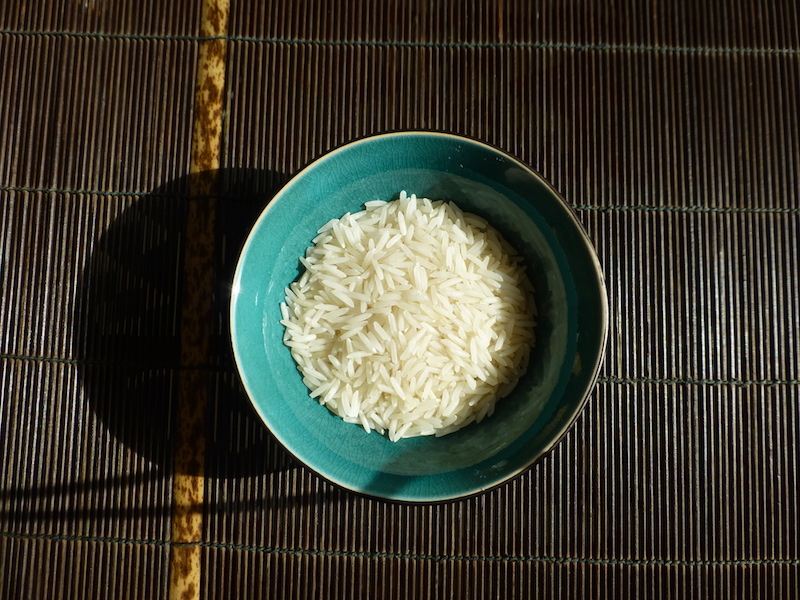 There are many, many varieties of rice but in this post I just want to introduce the ones I like and use frequently. Basmati rice, a fragrant, aromatic rice from India, is my staple, mainly because it has such a short cooking time (just 15 minutes). It is very fluffy when cooked right. 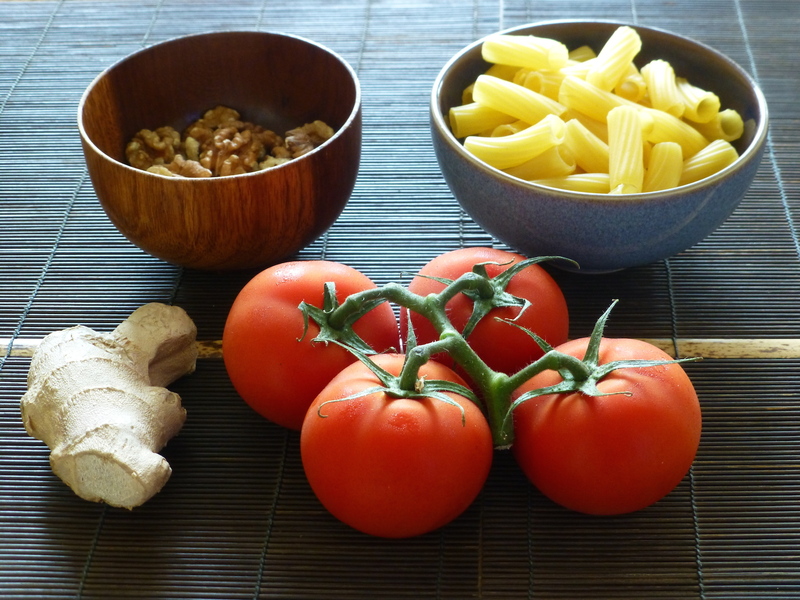 I have used it in several recipes, for example my favourite Basmati rice with tomatoes and halloumi. 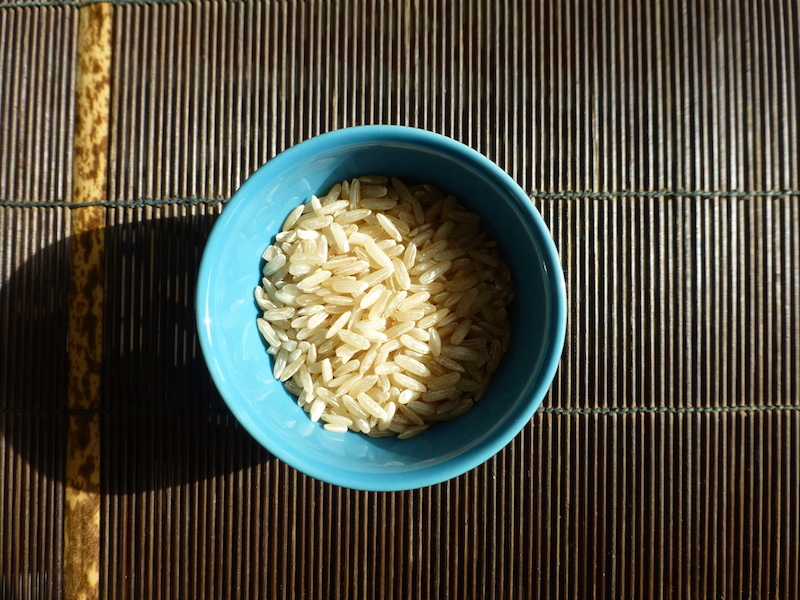 The brown rice I use is either Basmati or regular long grain rice. The picture shows Kilombero rice from Malawi. Brown rice has a more earthy taste than white rice and takes longer to cook (about 30 minutes). 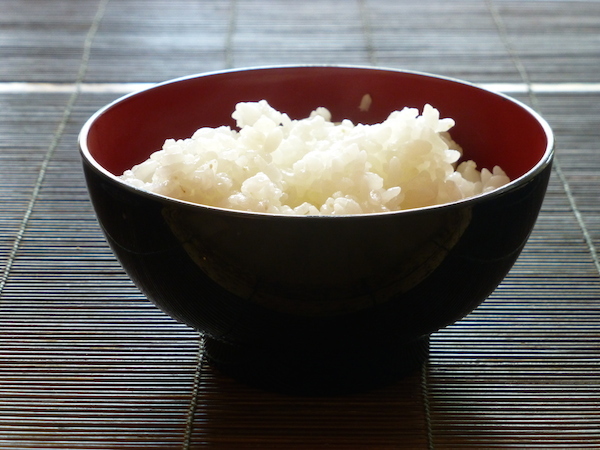 It it a better source of dietary fiber and vitamines than white rice. Broadly speaking brown rice contains 3x more fiber and vitamins than white rice. It also contains about 3x more magnesium, phosphorus and manganese; for other minerals (calcium, iron, zinc) the difference is smaller. A brown rice meal of 200 g cooked rice will get you about 40% RDA of phosphorus and vitamin B6, 10% RDA of magnesium and vitamin B3. Brown rice goes really well with lentils. Red rice has a nice nutty flavour. 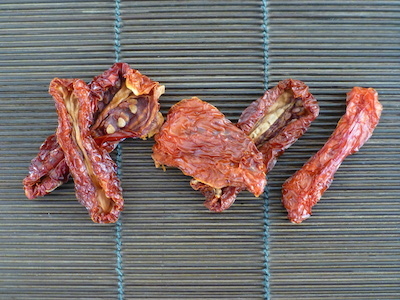 I use red rice from the Camargue region in France. 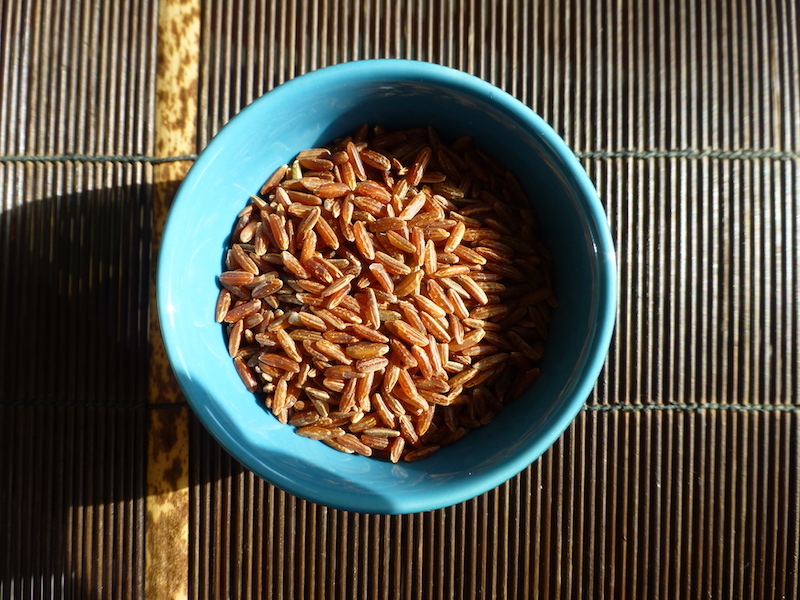 This is a recent variety, a result of cross-pollination of cultivated white rice with wild red rice in the 1980s. In terms of cooking time and nutritional value it is similar to brown rice. For an unusual recipe with red rice, check out my aubergine boats with soy beans and red rice. 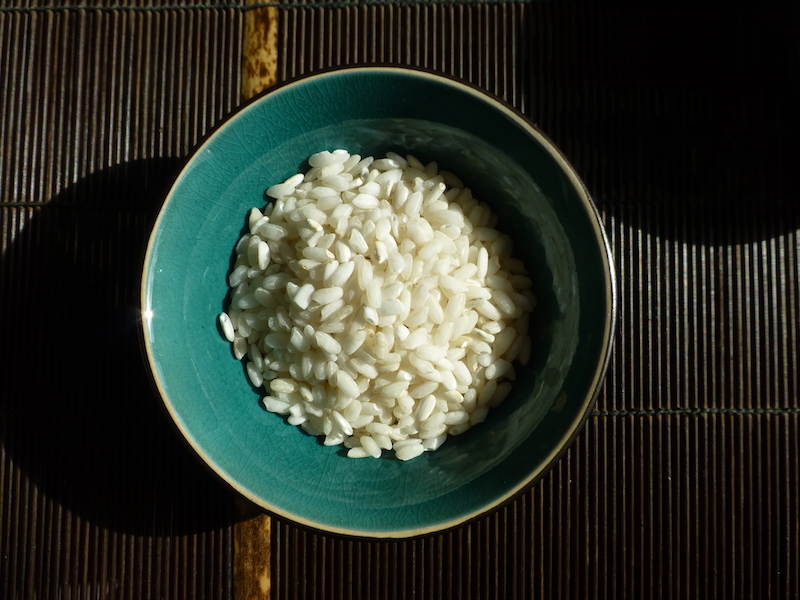 To make risotto you need a rice that can absorb a lot of water without getting sticky. To cook risotto rice you should add the water a little bit at at time, and keep stirring until it has been absorbed, rather than adding it all at once. Through constant stirring, the outer part of the rice grain is ground off by the friction and the starch mixes with the cooking liquid and turns into a creamy sauce that binds the grains together. The typical variety that I use is Arborio. My favourite risotto is the one with oyster mushrooms. 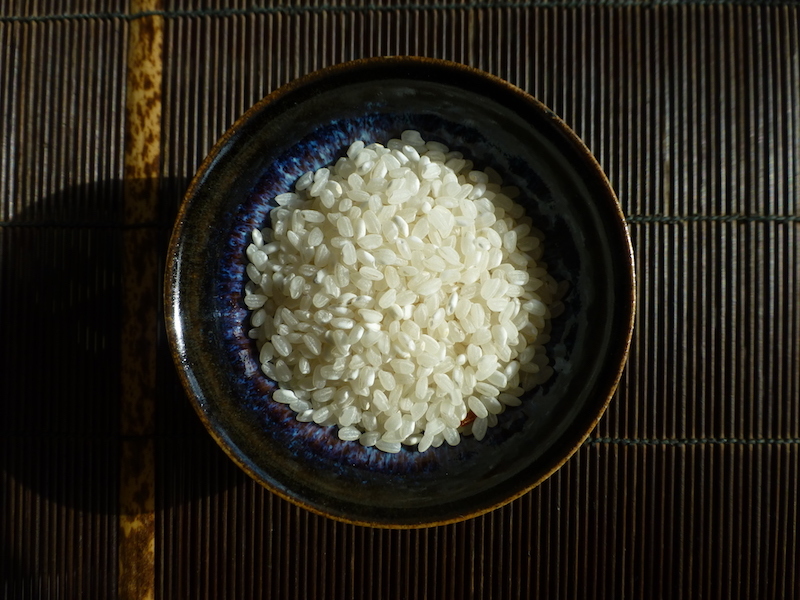 For Japanese-style dishes you really need proper Japonica rice: the rice grains cling together without being mushy when cooked properly. 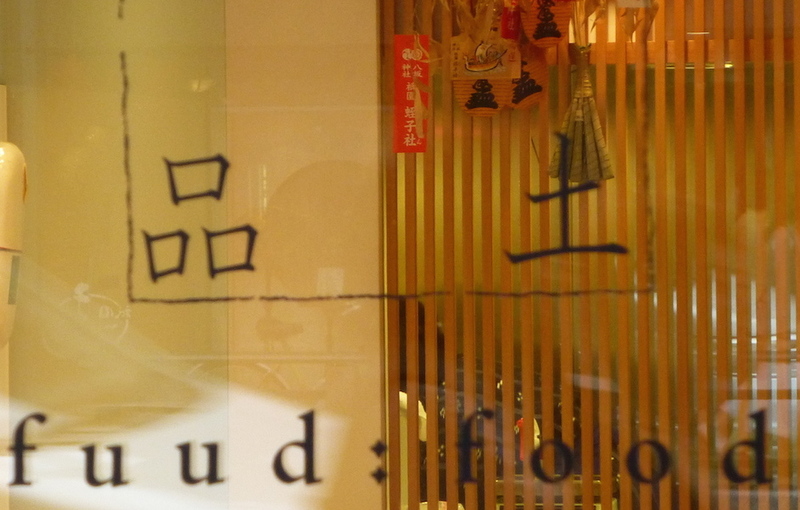 It doesn’t necessarily have to come from Japan though. I use either Yumenishiki or Clearspring’s sushi rice, both are grown in Italy. Yumenishiki’s koshihikari is an actual Japanese variety; the Clearspring rice is an Italian Japonica variety, Selenio, which is very similar in taste and properties to Japanese rice. 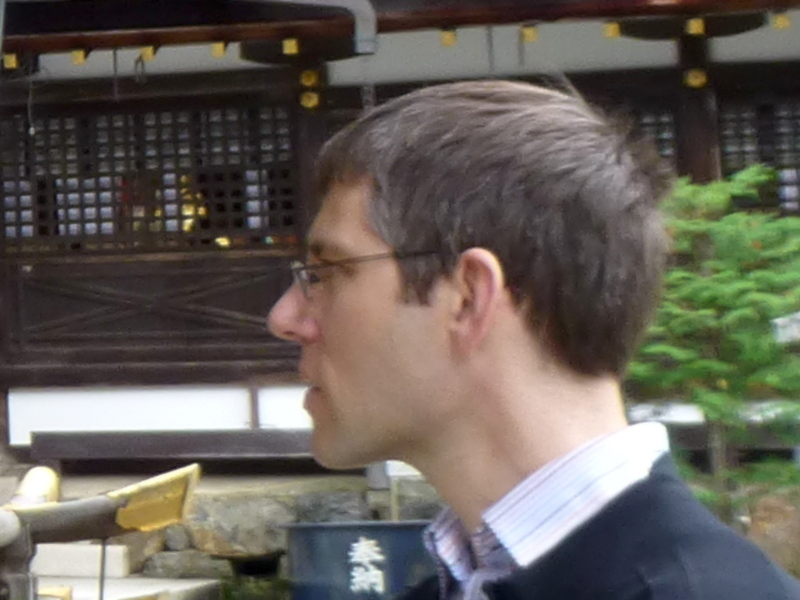 When I was in Japan I used kinuhikari, a local variety from Kyoto. A nice Japanese-style recipe is aubergines, sweet potatoes, tofu and wakame with rice.